Here's just a compilation of press that Four Tines and a Napkin has received since it has become readable to the public. 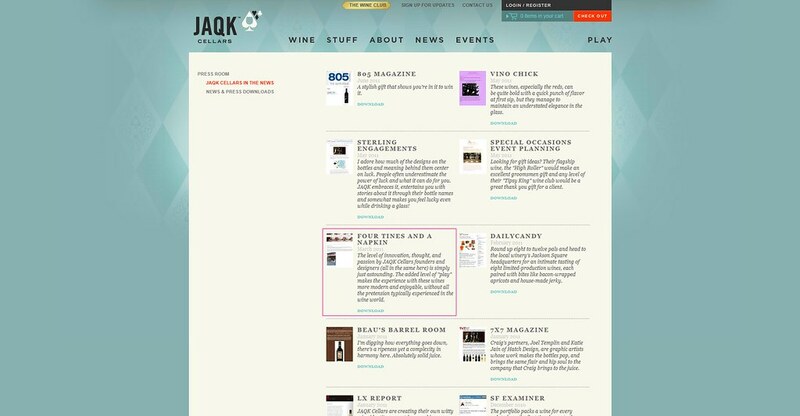 I wanted to be able to keep track of all of this press, especially visually, that the blog has been receiving. I am so grateful for all of the exposure these individuals/organizations/bloggers/restaurants/the like/etc. have given me over the course of Four Tines' digital life--thank you all for spreading the word! I've outlined the relevant areas of these screenshots in pink for easy viewing. "The level of innovation, thought, and passion by JAQK Cellars founders and designers (all in the same here) is simply just astounding. The added level of 'play' makes the experience with these wines more modern and enjoyable, without all the pretension typically experienced in the wine world." 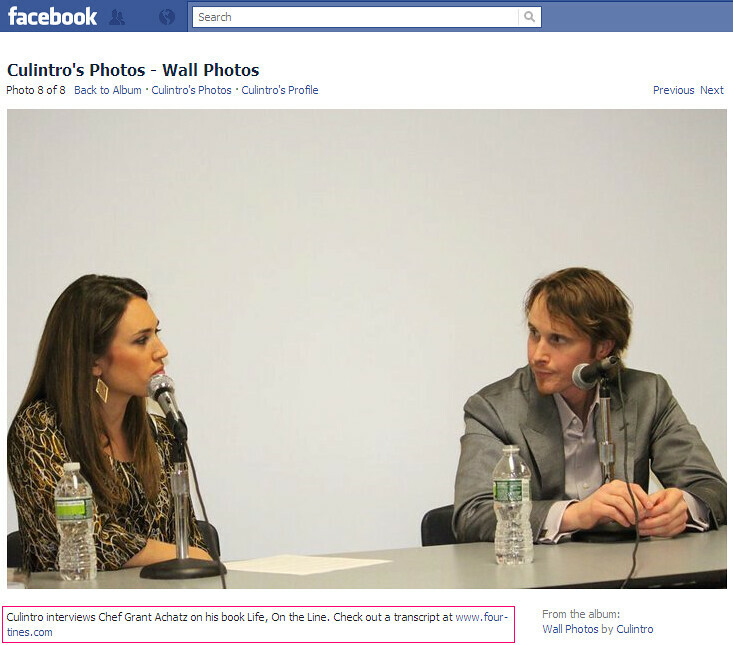 "Culintro interviews Chef Grant Achatz on his book Life, On the Line. Check out a transcript at www.four-tines.com." "UPDATE: Stefie of Four Tines and a Napkin was there last night (see the comments); here's her write-up of the meal." "Couldn’t get a seat at one of Laurent Gras’s dinner? No worries, Four Tines & A Napkin has recapped every moment of the experience, with pictures." Thanks for the awesome Blog review! I really appreciate it, so glad you love our restaurant.